This was a quick last minute starter made for a casual dinner with friends. I has originally planned to make some soup but missed a vital ingredient off the shopping list. After a quick scout around the fridge and freezer I found some puff pastry and goats cheese, so the beginnings of the tart were born! 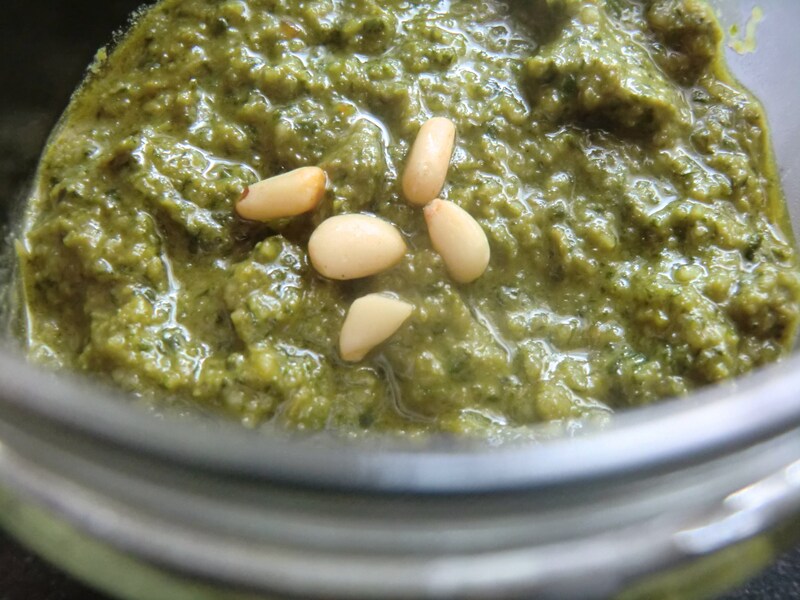 I made some basil pesto with half a bunch of left over basil, some toasted pine nuts and olive oil (no parmesan as I had none!). All were blitzed in the blender with a little salt and pepper to taste. To assemble: Roll out the puff pastry onto a baking sheet (I didn’t line mine so it stuck a little, best learn from my mistakes!) then spread the pesto thinly onto the pastry leaving about 1cm border around the edge. 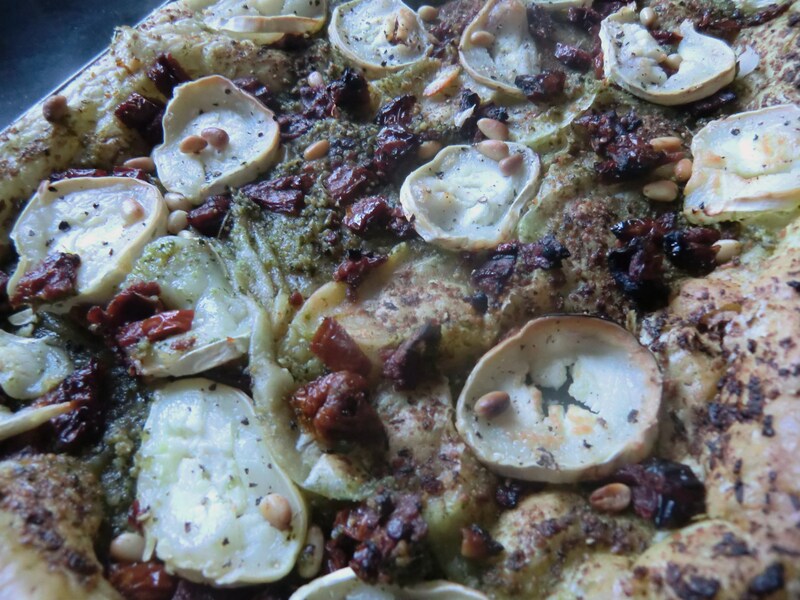 Then add the toppings, I used goats cheese and sun-dried tomatoes with some extra pine nuts scattered over. To bake: Stick it in a hot oven for 15 minutes but keep an eye on it after 10 minutes. I often start cooking and get a little carried away with the different flavour combinations. This tart is one of many examples of such cooking exploits. This started off as a goats cheese and caramelised onion tart but then I also wanted a feta and spinach tart. The end result is a layered Caramelized onion, Goats cheese, Spinach, Sun dried tomato, and pine nut tart.